Let your kids enjoy a ride with the Go Skitz Electric Quad Bike designed to make their play time more entertaining with built in Music Player with USB socket and radio function. It has front lights and with one button start for a flashy and convenient ride. Kids can choose two speed options; they can start at 3km/h and may go 7km/h. Go Skitz Adventure Electric Quad Bike is perfect for Ages 3+ years and can take riders with up to 30kg weight. 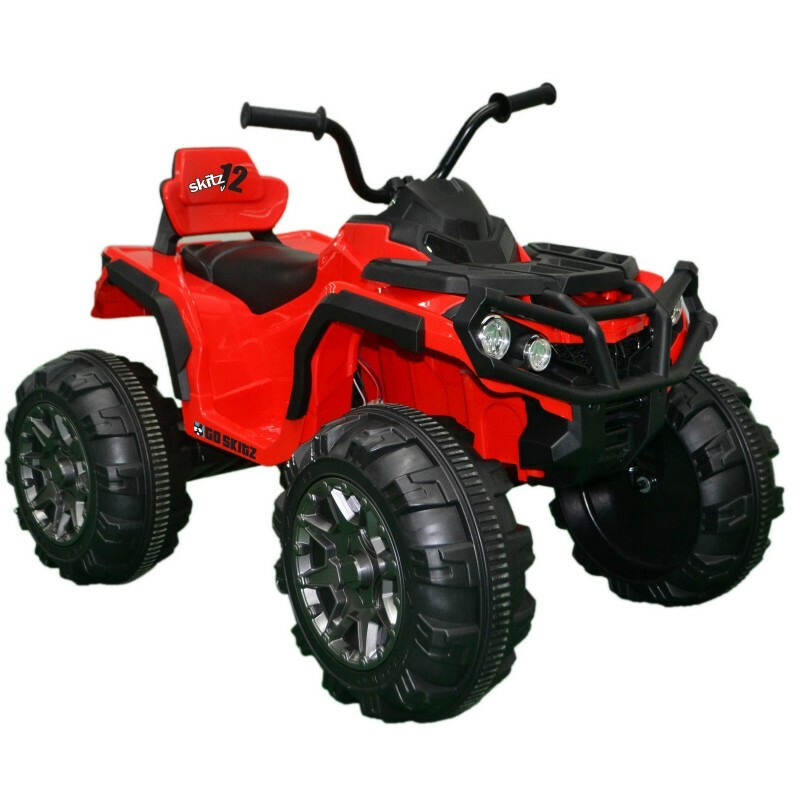 Choose color in Red or White and start the fun with Go Skitz Adventure Electric Quad Bike that will surely be the kids' staple in their everyday play time. In addition to any other guarantee or warranty implied by law, Go Skitz (Go Easy Australia Pty Ltd) warrants that Go Skitz products will be free from manufacturing defects for a period of 12 months from the date of purchase (“Warranty”). Some parts have a limited warranty period see below.